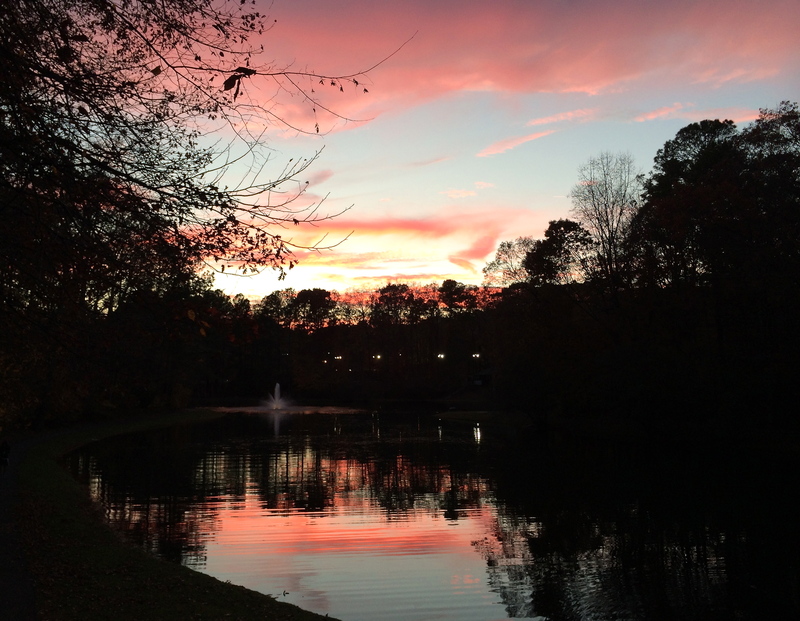 H and I were graced with this gorgeous sunset as we walked around the lake in our neighborhood last night. What a beautiful picture and a lovely view! I absolutely adore the colors of both sunset and sunrise. Since I’m usually up early to get work done, I often get to admire the colors of sunrise more. Thanks so much for checking out the blog. I love the sunsets at this time of year around here because the colors are so intense. This one was a happy surprise as we rounded the corner. What a great surprise to suddenly discover!